SKU: N/A. 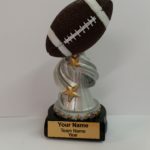 Categories: Fantasy Football Trophies, Fantasy Football Plaques. 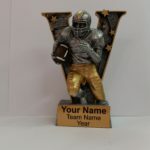 Our Fantasy Football Plaques are available in three colors. Cherry wood, Oak Finish, and Genuine Walnut. 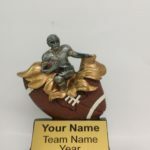 They measure 8.5″ x 11.5″ and come with twelve plates for engraving. 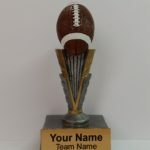 We offer four different header options that we engrave for you.